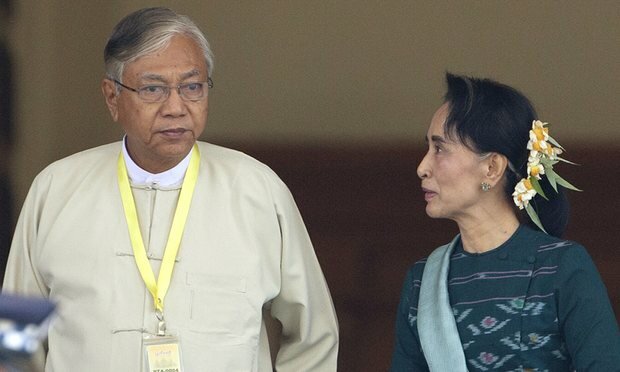 On March 15, 2016, the Burmese parliament elected Htin Kyaw as Myanmar's first civilian president in 53 years. It was a historic day for the Burmese people and for democracy in the strife-ridden state, which has been controlled by the military since 1962. Kyaw's election follows the National League for Democracy's (NLD) parliamentary victory in the fall of 2015. The 69-year-old has served as a longtime adviser and confidant to NLD President Aung San Suu Kyi, and is scheduled to take office April 1. While Kyaw's election marks a significant divergence from Myanmar's political and economic past, an important question remains: What are its implications for the persecuted Rohingya minority? The Rohingya have lived in western Myanmar for hundreds of years; however, the 1982 Citizenship Law maintains that the Rohingya are foreigners residing in Burmese territory, and it prohibits the Rohingya from acquiring citizenship. In effect, the Rohingya are not afforded any protection under the law, and are rendered stateless with no political, economic or social rights. Approximately 140,000 Rohingya are internally displaced in central Rakhine state and hundreds of thousands have fled to neighboring countries, including at least 231,000 in Bangladesh, at least 15,000 in Malaysia and many more in Thailand and Indonesia. Mass graves of Rohingya were discovered near the Malaysian border in 2015, and reports indicate that traffickers demanded $2,000 ransoms from the victims' families. If the money was not received, the Rohinya were beaten to death, or neglected to such an extent that they succumbed to sickness and disease. The Rohingya have suffered significant social, economic, political and humanitarian discrimination, including arbitrary arrests, forced labor, restrictions on travel outside their village of residence, limitations on their access to higher education and a prohibition from working as civil servants, including as doctors, nurses or teachers. The Burmese government has required official permission for Rohingya to marry and imposed a two-child policy solely on the Rohingya population in the country. Though Kyaw will act as president of Myanmar, the real political power will reside with Aung San Suu Kyi. In fact, the only reason Kyaw was elected rather than Suu Kyi is because of a discriminatory law that bars anyone from holding the presidency who has a child with foreign citizenship, specifically targeting Suu Kyi. Despite her stated commitment to human rights, Suu Kyi has repeatedly refused to condemn the persecution of the Rohingya minority. I think it is very important that we should not exaggerate the problems in this country. There's a Burmese saying: You have to make big problems small and small problems disappear. It's not a question of exaggerating small problems into big ones and big ones to the extent that they are totally unmanageable. I'm not saying this is a small problem. I would promise everyone who is living in this country proper protection in accordance with the law. Suu Kyi's strategy could rest in the pragmatism of realpolitik, as most of her constituents are conservative and religious. In this view, Suu Kyi has not condemned the oppression of the Muslim Rohingya because to do so would risk alienating the Buddhist majority that elected her party. On the other hand, her silence on the issue could be an indication that she truly believes that the Rohingya people should not be protected under Burmese law. The latter interpretation of her actions would constitute a direct contradiction of the tenets of democracy for which she has been so glorified for upholding. Responding to a question about whether the Rohingya should be granted citizenship, Suu Kyi answered, "The government is now verifying the citizenship status under the 1982 citizenship law. I think they should go about it very quickly and very transparently and then decide what the next steps in the process should be." Such prevarication runs contrary to all that Suu Kyi claims to have stood for over the course of her political career. It certainly does not signal a dramatic departure from the suffering of the status quo nor does it indicate that the NLD and Kyaw will be any better to the Rohingya minority. For Myanmar to be considered a legitimate democracy, the Rohingya people must be recognized as citizens, included in the political processes and have the same access to healthcare, education and basic services as any other Burmese citizen. A true democracy is majority rule with protection of minority rights. These policies may promote backlash from the Buddhist majority and present a crucial test for democracy and the rule of law in Myanmar; however, strong leadership often requires bold and decisive action in the face of opposition. In the coming months, the true character, strength and resolve of the NLD and its leaders will be revealed by how they treat the Rohingya minority.